If in-person or online LSAT tutoring through Manhattan Elite Prep is not a possibility for you, study guides for this exam are critical. Many students often are confused as to what to pursue in regards to LSAT study guides, textbooks or practice tests. In regards to LSAT study books, here are some options for you with comprehensive breakdowns to help you find your way in the bookstore! 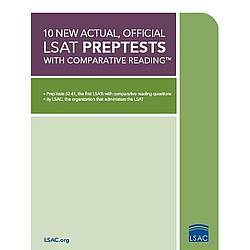 This is the official guide to the LSAT, published by LSAC, the makers of the test. It contains three previous administered LSATs with full sets of answer explanations to complete your practice. This is the guide that we use for all of our LSAT classes; and it is the only LSAT guide that we recommend! This is the most comprehensive and up to date collection of past LSATs. 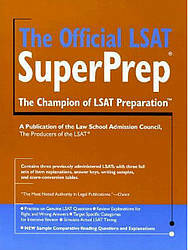 As with the Official LSAT SuperPrep, this book is put out by the Law School Admission Council. We all know the best way to prepare for an exam is to practice, and this book gives you the most material to practice with. If you have a tutor to go over questions with, that's great--but just practicing the test and mimicking testing conditions will prove to be invaluable in your LSAT preparations.